We manufacture and supply "Hand Operated Tablet Machine" for our esteemed clients. These Single Hand Operated Tablet Machines are so designed that each revolution of the wheel drive automatically feed as well as removes tablets. Built using heavy cast body with centric pressure system, the stainless steel hoper provided is connected by a robber tube, which allows easy setting for thickness hardness of tablets with nuts and lock nuts. We also provide with these machines a set of two spanners. Single punch for making tablets upto 1000 mg. and as per size of the punch 6mm. Automatic compression and ejection devise with each revolution of the wheel drive, automatic feed and removal of tablets. Built on heavy cast body with acentric pressure system. Stainless steel hopper provided and connected by a rubber tube. Easy setting for thickness and hardness of tablets with nuts and lock nuts, set of two spanners provided as necessary tool die. Heavy duty. Carewell wooden made fume hoods are designed to contain and exhaust toxic. It is being manufactured to avoid obnoxious or otherwise harmful gases, vapours, mist etc. to protect personnel and equipment. A motor driven blower created negative pressure within the chamber extracting the contaminated air from work area and expel it in to the atmosphere. The hood is ventilated of the air drawn for inside the laboratory which is used effectively for through sweep out of work chamber. Specification : - Fabricated out of best quality thick all weather resistant Duroboard clad in Mica Lamination from outside, Fume hood inner chamber is qualitative finished in chemically-resistant Epoxy paint and work surface covered with glazed tiles and counter balanced slid ' ing Sash Fluorescent tubes are fitted inside. A gas tap and an electric plug is also provided to work on 220/230 V AC 50 Hz power plug. • corrosive fume inside the motor which keep motor noiseless, and remains all time cool. • wear & tear in years to come. • Stirrers consumes low electricity, no shock hazard, 230-volt 50Mhz AC supply to regulator box. • to faclitate the Motor to run. • Stirrer is Supplied with variable speed remote control regulator box. Portable Tablet Hardness Tester VTHT Series are a Portable Instrument which can measure the Breaking Point of Tablets ranging from a 2 mm to 28 mm. The tester measures the Compressive Force with an Accuracy of ± 0.5% and Measures and Displays the Peak Force used to Fracture the Tablets. The instrument also reduces unnecessary costs to produce tablets out of Specified Hardness Range. The Portable Tablet Hardness Tester are ideally suited for the Pharmaceutical, Food, Detergent, Dairy, Animal Feed, Pesticides and any other industry that requires Compressed Tablets. Hardness Measurement by Load Cell up to 500 Newtons. Units of Measurement in N, kgf and lbf. PC Connectivity through RS232 Port. Programmable Upper (T1) and Lower (T2) Tolerance Limits. Display of 10 Test Value and Calculate the Average of the Memorized Value. Acrylic Glass Safety Cover with Disposal Container. Tester operates on Rechargeable Battery. The Tablet is placed on a platform between 2 precision ground platen jaws, one of which is attached to the load cell and the other to a manual mechanical drive. During testing, the manual jaw is driven forward by turning the knob which gives a gentle movement and presses the tablet against the fixed jaw. The process continues till the tablet is fractured and the breaking point is registered by the instrument. Facility of data backup by hard or soft copy is provided. Disintegration Testers VDT Series determines whether Tablets or Capsules Disintegrate within the prescribed time when placed in a Liquid Medium. We offer Cost-Effective and Fully Calibrated Testers for testing the Disintegration Time of Tablets, Capsules and other Solid Dosage Forms. It is a powerful Micro-Controller based Stepper Motor driven Technology that provides Uninterrupted and Faultless operation, able to meet the requirements of USP, IP, DAB and EUR Pharmacopoeia. 1. VDT Series uses MPU to control all its operations. The Bath Liquid can achieve an even temperature. 3. It can be operated conveniently by using keys. Its measurement results are displayed on LED. 4. It enables Automatic Stoppage at Timing Point Method. 5. Inbuilt Automatic Temperature Control, Time and Frequency. High Precision Temperature Control. 6. Rod and Nacelle are both manufactured in Stainless Steel. 7. Inbuilt Auto-Test, Auto-Diagnose and Auto-Alarm. High Frequency Electromagnetic Sieve Shaker VSS Series is ideally used as a particle size analyser for the Pharmaceutical and Chemical Industries by governing the Separation of particles according to their sizes. The instrument can handle Pharmaceutical Powders and Granules as well as Chemical Processing Materials, Dyes, Chemicals and is also used by the Food Processing Industries. It is also used to test Sand, Cement and Gravel. 1. Uses Unique Vibratory Motion by using a Horizontal and Vertical sieving action to effectively separate materials. sieving, while the rapid vertical movements also help to keep the apertures free from blocking. 3. Suitable for sieving High Density products and for Dry Sieving Analysis. 4. Unit is robustly built and can be used in Laboratories or At Site. It is Compact and Portable. Tablet Friability Testers VFT Series has been designed in accordance with the specifications as laid down in USP and other Pharmacopoeia. Friabilator determines the Resistance of Tablets to the Abrasion and Shock experienced in Manufacturing, Packing and Shipping Operations. 1. Two Drums run Synchronously and Stop Automatically at the Timing Point. 2. The Drum is made of High Quality Transparent Plexiglass. Preset or Real Data is displayed on the LED. 4. Automatic Intelligent Control the Rotary Speed and Cyclomatic Number of the Drum. High Accuracy is attained in testing Rotary Speed and Circle Number. 5. Inbuilt Auto-Test, Auto-Diagnose and Auto-Alarm. 6. Validation of RPM and Count. 4. Fittings, Parts and Accessories. 5. All kinds of water filter & RO system parts. 1) Supply, Installation, Commissioning and Maintenance of systems. 2) After sales services by entering in to Maintenance contracts and supplying the spares required keeping the system working at all the time. Being a quality centric firm in this industry, we are offering our customers best and most perfect range of Horizontal Distillation Unit with Quartz Heater Tube. ”ThermoIndia” These units consist of main boiler. A built in heater enclosed in Quartz glass tube. Housing auto Water level adjuster, Bottom outlet for cleaning waste discharge which is fitted with Teflon screw Cap valve. A coil condenser fitted on top for condensing vapours. The whole unit is mounted on epoxy coated metal box stand. Power supply unit is in built no extra attachment is required. Housing sturdy & reliable power System requires 1 K.W. Power per heater. These distillation units are more compact require less space, Reliable, Easy to operate on Continue basis.The entire array is very cost effective in rates. Carewell digital Bulk Density Apparatus is specially designed to meet the requirements of USP Standards. The speciality of our Bulk Density Apparatus can hold two cylinders, capacity: 100 ml. The mechanism provides simultaneously rotating and tapping motion to the cylinders for packing the sample under test evenly and uniformly together. required strokes within the range from 1 to 9999 counts. the last 'Set Count' value which is retained in the memory even when the instrument is switched off. that the current measurement session is over. automatically from the point of power failure. techniques so as to give enhanced accuracy and reproducibility. The dissolution-rate-test-equipment apparatus consists of 4 parts. A water bath with 500 watt heater covered 1000ml. Vessel made from Borosil Glass and digital temperature control. Variable speed motor, with 30 cms longs stainless steel shaft. A cylindrical stainless steel basket and a membrane fixing attachment, water bath is made of imported thick acrylic sheet with transparent cover at top. Temperature of the bath is maintained at 37Â°C with an accuracy of Â±1Â°C. A cylindrical glass vessel of 1000ml capacity with slightly concave bottom has a flenged edge at the top to accept a fitted cover having four holes. One hole placed in the centre. The shaft of the motor is fitted on an up right and has an electronic speed regulating device that allows the speed to be varied from 25 to 250 RPM. The shaft is 6mm dia 30cms on with basket fitted at end rotates smoothly and without any significant wobble. The basket consists of two parts one of which is attached to the shaft. It is of solid metal except for 2mm vent and is screwed on the main shaft. Lower part of the basket is held with this part by means of threading and this allows proper removal of lower part for introduction of the test samples. The detachable part of the basket is fabricated of stainless steel mesh formed into cylinder of size 36mm x 25mm dia. The equipment is workable on 220 volts 50 C/s A.C.
(Latest with digital counter) For determining neuro- pixicity, muscle tone, balance and motor co-ordination in rats and mice. Consisting of two or three or four compartments of 75mm width each with a rotating rod of 25mm diameter having speeds of 5, 10, 15, 20 and 25 rpm with time interval counter in each compartment. The Manual Capsule Filling Machine is one of the oldest as well as the most popular and widely used form of capsule filling. The machine is designed and manufactured with utmost care to handle all sizes ranging from 00 to 5 and to give you trouble free services year after year. special stainless steel upright. A M.S. junction box is fitted to the bath frame and carries all the electrical leads and connections, two pilot lamps indicate functioning of the thermostat and stirrer. balances of 6 lbs. range (Graduated in one oz.) calico-band to the balance pass round adjustable pulleys in order to give them the right direction. An adjustable record counter records the revolution of the wheel. The machine consists of two/four filling heads with vacuum pump and ½ H.P motor. Available in various sizes, our range of Bottle Filling Machine can be customized as required by our clients. A fairly handy instrument for taking quick readings for the hardness of tablets it is made of brass turned parts. Heavily chrome plated the scale is 0 to 20 kg. The index mark and division is in reading. Scale is adjustable for zero setting as per size of the tablets. 'Tablet hardness tester pfizer type is handy and portable instrument which are used in laboratories to test the lot of tablets during its manufacturing process to observe the hardness of the tablets as per pharmacology standards. The hardness can be tested upto the load of 20 kgs and the maximum size of the tablets dia is approx. 25mm which is placed in between the grips of the bolt and the piston as per the picture and than it is squeezed (press) through cross handle. Putting pressure, the piston goes upward and push the dial needle. The dial needle stops where the tablet breaks which shows the hardness of the tablets in kgs. Antibiotic zone reader is used for determining the strength of antibiotic materials by measuring the diameter of the inhibited zone in a petri dish. The process of determination with this instrument is rapid, accurate and reliable. The instrument is unique in design and measures the diameter of the inhibited zone to 0.1 mm within the range of 0 to 35 mm. Light from a source in the base passes up through the transparent and semi transparent portion of the agar-agar, then to a reflecting mirror supported by an arm above the unit. The mirror reflects the light to a glass prism mounted at the front of the unit. The magnified image of the zone of inhibitions can be clearly seen on the prism. The instrument is supplied complete with all the required accessories like prism, Petri dish, etc. Cooks Pole Climbing Apparatus outer chamber made of thick plywood sheet with an observation window and inner animal chamber is made of clear acrylic sheet bottom of which is provided with chrome plated brass bars. A shock for controlled duration of 200V AC 50 Hz single phase - 0.2 mA is builtin and is controlled by builtin 11 position solid state timer upto 30 seconds. Output for connection to Kymograph or recorder has been brought out as terminal. An animal dropping removal tray has been provided for keeping the equipment clean. Care well Tube Filling Machine is Stroke type, barrel and piston arrangement with strock setting for various capacity of filling of tubes (from 5 gms to 50 gms.) detachable nozzles provided for each separate capacity. All contact parts are of stainless steel also stainless steel holder. Built on cast iron body, hand lever operated. "Carewell " Infrared Moisture Balance is an instrument for measuring the moisture content of materials that do not change their chemical structure while losing water under exposure to infrared radiation. Very sturdy directly calibrated in moisture percentage. It is portable & sturdy instrument for laboratory use for determination of moisture contents of material. This instrument is widely used for testing soils used in construction, agricultural soils, chemical raw materials, foods, pharmaceuticals, plastics materials etc. Both drying and weighing are simultaneous, and the infrared moisture balance is especially useful for determining the moisture percentage in substances that quickly reabsorb moisture after drying. There is provision so that the input power to the infrared lamp can be continuously varied from 0 to 250 conventional methods. The balance scale is divided directly in moisture percentages from 0 to 100% in 0.2% divisions to give better result. A thermometer is provided for estimating the temperature of the drying chamber. Carewell : U.V. Cabinet which we manufacture is scientifically developed and designed to provide with the most accurate results. The Double Walled construction and a Solid State Digital Temperature Controller make our U.V. Cabinet a unique product. We are a reliable UV Viewing Cabinet Manufacturer from India. We provide SS argon welded inner and a MS powder coated outer which ensure the high class performance of our UV Cabinet. The UV Cabinet available with us is fitted with CFC Free Polyurethane Puff Insulation which makes it an eco friendly product. We are well place among the topmost Ultraviolet Test Cabinets Exporters from Mumbai. Electricals 3 HP, 3Ø, A. C.
We are happy to carry out trials with your materials in our laboratory or for longer periods of evaluation rental machines are available for on-site trials. Our promise: To meet our customers high demands on quality, economic efficiency, production safety and environmental protection. Totally paint free production zone. 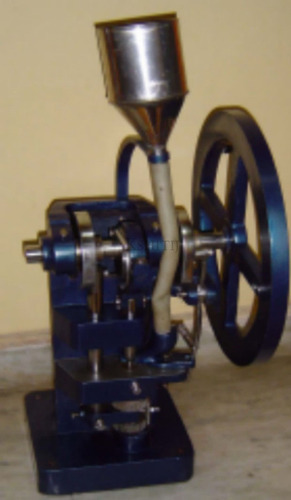 2 HP, 3 Ø, A.C.
Agitator is used for stirring, agitating and beating. All kind of liquids, emulsions, suspension and similar mixtures. Tiring action duplicates manual stirring motions. The total capacity of the kettle is 5 Liters. The working capacity approx. 3-3.5 Kg.The kettles and stirring arm are made of stainless steel. Analytical Grade Water System for Fermentation usage:Model:Lab Pure Series Analytical UV with online micro controller based double line alpha numeric display.Product Water Resistivity-:-10-15M Ohms-cm, Conductivity< 0.1-0.06 micro S/cm at 25 deg C Output Capacity 10 liters/Hr,T.O.C.<50ppb,Bacterial count<1cfu/ml, Particulates <1/ml, Ionic Rejection> 95%, Silicate Rejection >99%, Pyrogen Level < 0.001 EU/ml. Universal centrifuge is a compact model for routine work in medical and industrial laboratories. It is made of SS sheet, and have the special feature include. Easy lid lock, step less speed regulator and timer. Carewell recording drum is based on drive mechanism which consists of constant speed electric motor and accurate gear-box contained in the box to get it togethered with robust plate clutch. The engagement of various gear ratios are effected by sliding the lever into the slot marked with surface speed or by a knob in separate models. The 6 inchdia main cylinder and Stainless Steel spindle have been standardised in such way to make the same and effective to it universal and interchangeable. Double electric contact arms are clamped on the main spindle and a stout double-contact block is fitted on top of the base. Gear ratios i.e. 640 mm, 320 mm, 25 mm, 12.5 mm, 2.5 mm, 1.2 mm, 0.25 mm, and 0.12 mm per sec, are effected by sliding lever into the slot marked with 8-surface speeds. Optional : When longer records are needed a long paper extension device can be provided and fitted in position by a single set screw.